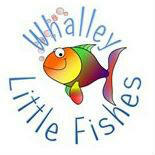 This weekly group meets on Tuesdays in term-time from 9.15am to 11am, at Whalley Methodist Church (side entrance). Cost £2 per family, including refreshments. Join us for free-play, crafts, snack and circle time - do come and join us, especially if you are new to the village and want to make some new friends. 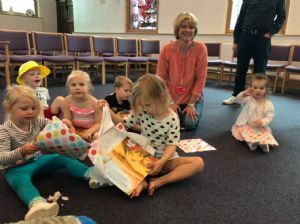 At our last session of the summer term, we had a party and the children who are leaving us for pre-school or Reception class were given a bible story book. We would be delighted to welcome new children and families. Please complete this contact form and bring it with you, to save time on your first visit. Thank you.